Radiohead have confirmed that they are heading back into the studio to compete their eighth album. The band have told BBC 6music that the follow-up to In Rainbows is well advanced. 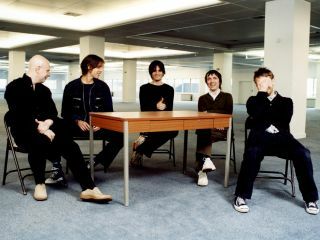 Colin Greenwood said: "We've finished the main bulk of it and we're off to Japan in a couple of weeks to finish it off". Ed O'Brien added: "We're still talking about doing some stuff and we're really excited about it. First we came off tour to do some writing and we wanted to just carry on doing it because it was so brilliant". Also, the band have made a recent live concert from the Santa Barbara Bowl available for free via npr.org. The show lasts two hours.